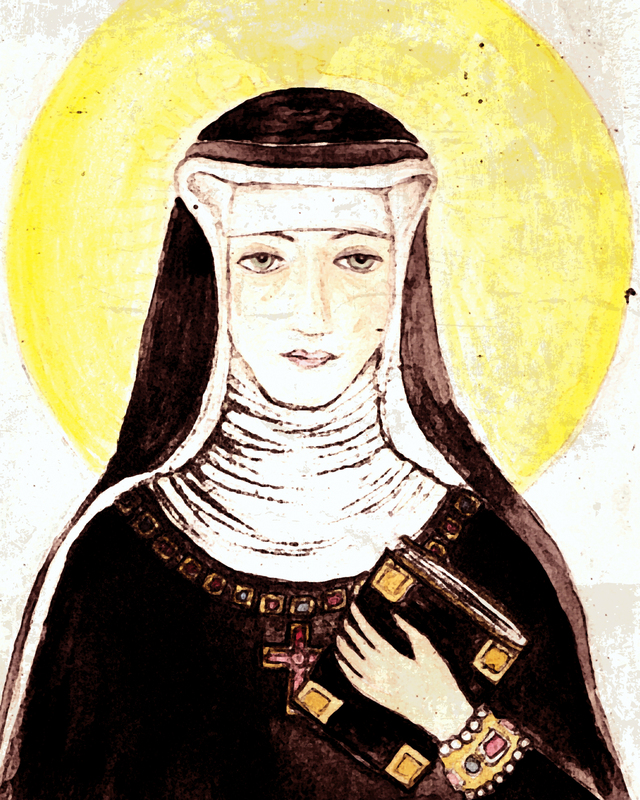 Hildegard of Bingen (1098 – 1179.) Also known as Saint Hildegard, or Sibyl of the Rhine. What an extraordinary woman- writer, composer, philosopher, and Saint! She was her parents 10th child and because she claimed, at a very young age, to have had visions they offered their daughter to the church. She wrote poems and plays, as well as books on science, herbal medicine, and God’s effect on Man’s health. Hildegard also invented an alternative alphabet, a modified medieval latin, for her writings. These writings are still studied today because of their focus on holistic and natural healing- many of her themes apply to modern times. Along with Eleanor of Aquitaine, she is considered to be one of the most important women of her time.